The Alumni Association of Lincoln University is committed to helping Lincoln University raise money for the University. Let’s make this happen! 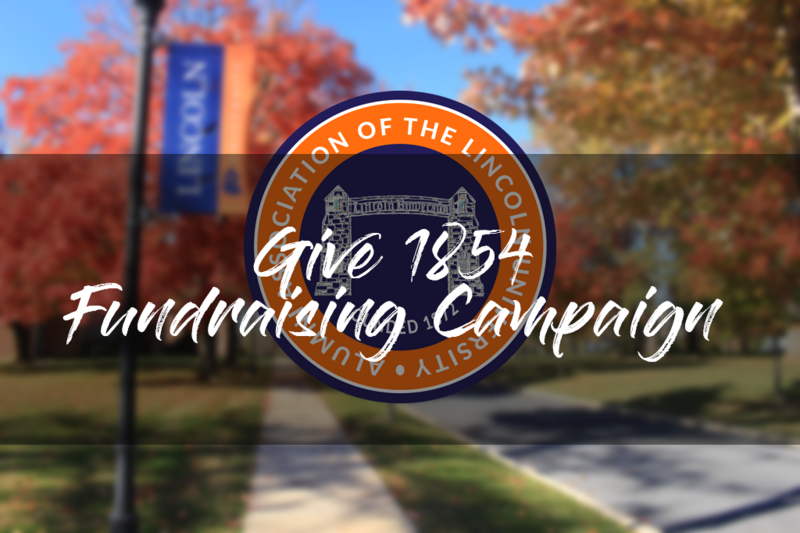 The Alumni Association of Lincoln University Fundraising Campaign, “GIVE 1854”, is named to recognize Lincoln’s Founding Year. Alumni please contribute in that spirit by Donating $18.54, $85.40, $185.40, $854.00, $1,854.00 or any amount you would like.